Happy Easter everybody! It's Easter time and I know in general that America has more than it's fair share of awesome ice creams, but there will always be certain things that we just can't get our hands on. The U.S. just doesn't have a decent way to celebrate... or do we? 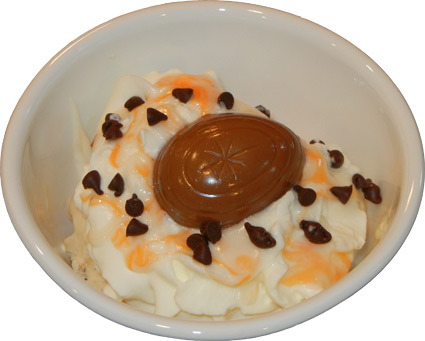 My wife joking said I should make a sundae with a Cadbury Creme Egg. Hmmm, sounds like a challenge to me! That's right, I was pretty psyched to create my own special Easter Sundae... but unfortunately there is a giant flaw to my plan. See, I never actually eat the eggs, my wife does, and well, I just learned something. Not every egg is creamy inside, some are a bit dried out. This poses a problem for my sundae. See, I was going to pour out the cream on top of the sundae, and then cut up the egg to make it all fancy. Since the cream wasn't creamy, I had to heat it up. It got the juices flowing temporarily, but the egg was now a gooey mess. Ohhhh, it was so pretty in my head, and now it's just, well, it ain't bad, and my daughter said it still tasted good. Oh well, I tried. Unfortunately when the cream cooled down it went back to be sticky and borderline chewy (which I take blame for, I'm the one who microwaved it). 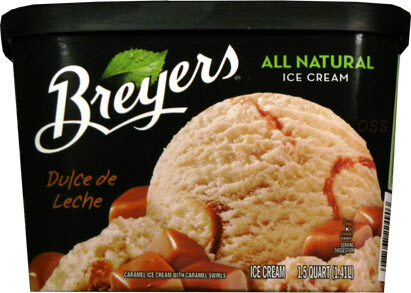 Oh, one more thing, the base of the sundae was a fresh container of Breyer's all natural [and now discontinued] Dulce de Leche. 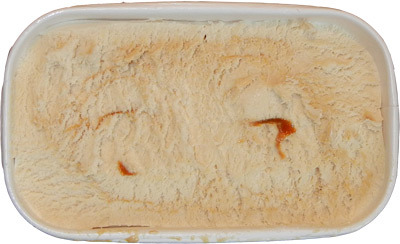 It's the kind of clean and mild flavor you would expect from Breyers. Actually, if you've got a hankerin' for a caramel milkshake with a decent texture, you can't go wrong with this Breyers. I've already had two of them myself. Oh sorry your easter sundae didnt turn out the way youd hoped :(, hope you still had a good easter!! Thanks! It was definitely.... tiring!